coffee from Sumatra is also known by the Japanese people because it is coffee-coffee from water taha has been known outside since the colonial times when the Dutch brought coffee crops Indonesia to overseas and slah only to Kyoto and Tokyo. Then, Sumatra coffee of any kind considering the vast area of ​​Sumatra. Lintong coffee comes from the hillside area close to Lake Toba in North Sumatra. Indeed in the hills near Lake Toba is the right height to produce ideal quality coffee. Lintong coffee turned out to be one of the favorite coffee in Europe because it has a strong flavor and distinctive aroma. Lintong coffee grows at 1400 - 1450 mdpl altitude. In addition to the area around Lake Toba, Lintong coffee also grows in Dolok Bun, and surrounding Humbang Hasundutan district. From North Sumatera, there is Sidikalang coffee which is also the mainstay of Sumatran coffee. The appeal of Sidikalang coffee lies in its distinctive aroma. Sidikalang name taken at this coffee place to grow the capital of Dairi district which has a cool climate with an altitude of 1300 - 1450 mdpl. Sidikalang coffee has low acidity with herbal notes and more intense and higher bitterness levels. Not many local coffee lovers know this coffee. Whereas coffee karo ground has been known since the early 1900s. 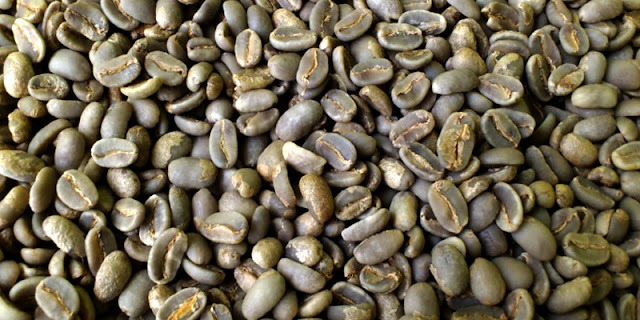 Coffee ground karo is a varieties of arabica coffee. Walayh grows around Berastagi, Kabanjahe, and the foot of Mount Sinabung with an altitude of 1,275 - 1,300 meters above sea level. The taste of coffee ground karo is quite unique because karo land is famous as an orange plantation so ground coffee karo has a pretty interesting taste with orange notes. Shifted slightly to West Sumatra, there Minang Solok coffee is still new in the world of coffee because the new famous 2-3 years. Minok Solo coffee is popular because of its unique character and lighter than other Sumatran coffees. Bring a rich taste like tropical fruits and floral scents. This coffee grows at an altitude of 1200 - 1600 mdpl in the Solok district highlands, close to the slopes of Talang Mountain. Shifted to Jambi, there is a coffee that is similar to coffee minang solok, namely Kerinci coffee is also new famous 2-3 years. Isitmewanya, Kerinci not only develops varieties of Robusta and Arabica just like other Sumatran region but also develops varieties of Liberica. The area grows Kerinci coffee around Mount Kerinci, Gunung Tujuh, Batu Ampar, Full River and South Solok with an altitude of 500 - 1500 mdpl. The characteristics of the kinetic coffee are on the taste that contains herbal and cinnamon notes. 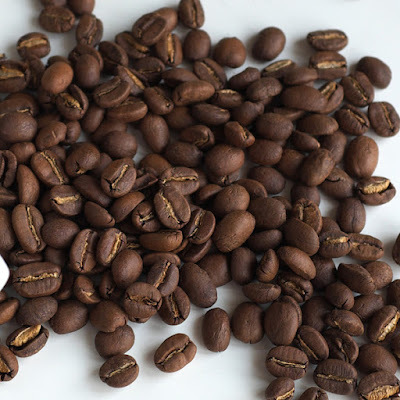 Bengkulu coffee that has a taste of cocoa and a little spice flavor is formerly produced in a 'roughing' so as to produce quality coffee beans are not so high when Bengkulu into the robusta gold triangle produces. However, after getting counseling about how to produce good coffee through out and in the country, young farmers in Bengkulu start producing coffee more better. Bengkulu coffee grows at an altitude of 800 - 1400 mdpl around the mountain Kaba. 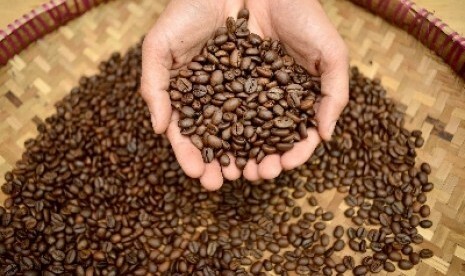 Lampung is already a region that makes coffee as one of the province's main commodities. Even one of the instant coffee producers has a coffee garden here. Lampung does have an ideal area for arabica coffee cultivation. Since early 2016, production up to Lampung coffee sales has increased significantly compared to the previous year. The growing region is also around Lampung Barat, Central Lampung and Tanggamus. The characteristics of this coffee notes between woody, nutty and dark chocolate.